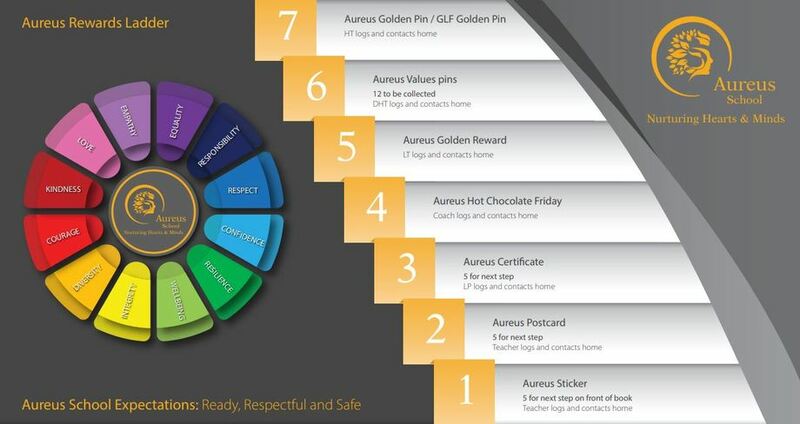 At Aureus School we award stickers for students going above and beyond expectations. Students are also awarded values postcards when any adult in the building sees them using our values to enhance our community. A highlight of our week is our Hot Chocolate Friday when students have special purple certificates awarded for wonderful assembly reflections and for reading our assembly homily.